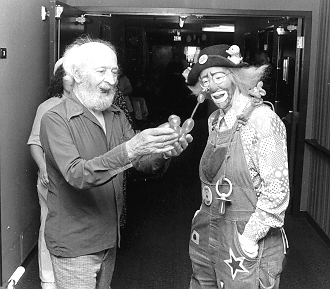 I actually got connected to the incredible therapeutic value of humor through clowning. My first character, Scruffy, became an unexpected source of therapy for me during a very difficult time in my life. 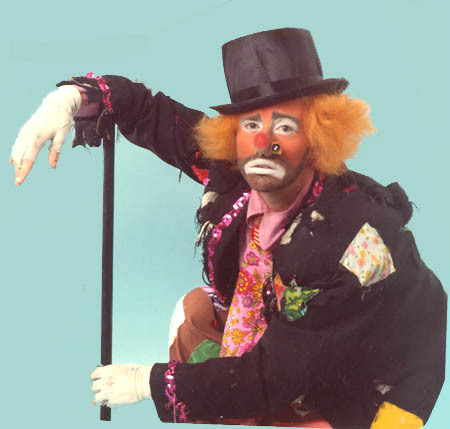 I’ve been a faculty at clown camps from Wisconsin to Istanbul. I’ve co-authored a textbook on hospital clowning with friend and fellow clown, Shobi Dobi. And a re-emergence of Nurse Kindheart during our nurse retention retreat, Replenish U, led to the discovery of a magic between Nurse Kindheart and a yet-to-be-discovered character inside of Deb Gauldin. That discovery led to the development of Kindheart & Krapinka, which is now delighting health care audiences around the world. My first character was Scruffy, a sad faced tramp. Scruffy and I found therapeutic humor when we began visiting nursing homes. As I would walk down the halls of the nursing home, the residents would clap their hands excitedly and announce, "The circus has come to town." They would reach out to touch me and laughed and smiled. The staff said they'd never seen some of those residents smile before my visit. 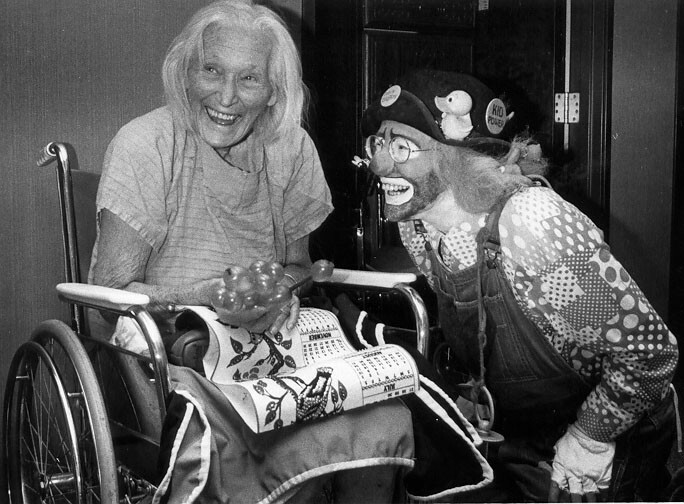 They assured me that after my clown visit, the residents had much more energy, better appetites, and were more open to interaction with others. 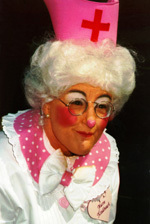 Nancy Nurse was my second clown character. She was a bold, outspoken character with over-sized props and a solutions to patients’ problems that every nurse wishes she or he could use on some patients. Nancy’s outrageous ideas amazed even me. She helped me discover that creative place where people’s hearts are connected through play. One of the keys to successful clowning is to be completely tuned in to one’s “audience.” In the case of Nancy Nurse, I saw patients frightened by her over-sized props and bold personality. As a result, I “found” a far-different alternative: Nurse Kindheart. I doubt that anyone can be frightened of this dear, sweet, white-haired, proper nurse with a clipped British accent. Nurse Kindheart is the embodiment of the old-fashioned qualities of nursing: compassion, sensitivity, adherence to safety and quality, and patient advocacy. She believes that love is the greatest healing energy, so exudes this to everyone she meets. 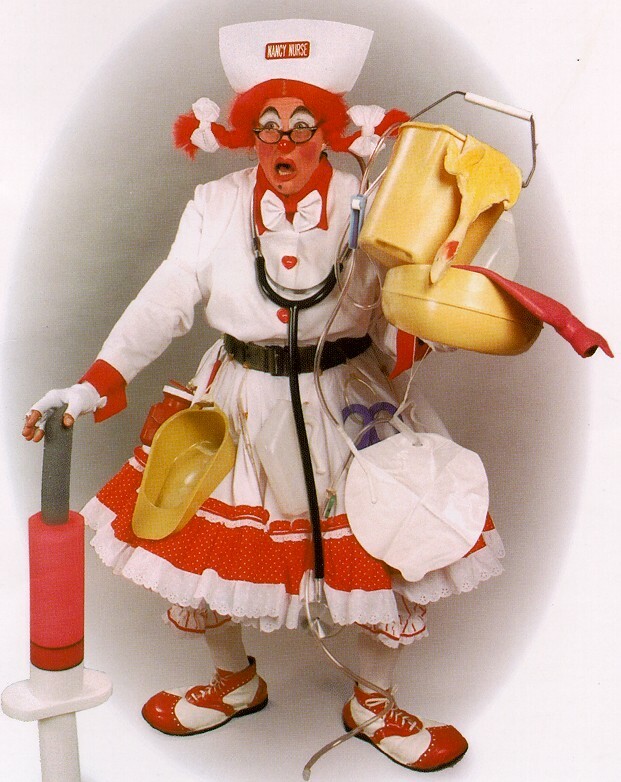 Nurse Kindheart and I are both delighted that she has been “reborn” in the comedy team of Kindheart & Krapinka.